Thyroid disorders affect millions of people every year. Given the wide range of functions that this butterfly-shaped gland is responsible for, it is of the utmost importance that thyroid health remains a focus throughout one’s life. 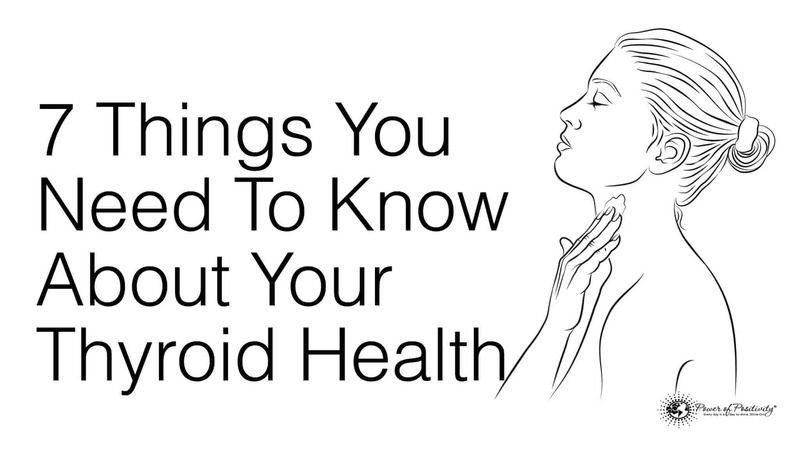 In this article, we will discuss seven things that everyone should know about thyroid health. Also, we will supplement this information by describing ways that thyroid health can be improved. The bodily functions of the thyroid are numerous. The gland plays an important role in breathing, body weight, muscle strength, peripheral and central nervous systems, body temperature, heart rate, menstrual cycle, and a host of others. As such, it is important that the health of this vital gland is maintained. Sub-optimal function of the thyroid gland can cause many unwelcome health conditions, both chronic and acute. It is estimated that hypothyroidism – diminished production of thyroid hormones – affects more than 45 million people. Interestingly, this condition is twice as prevalent in men as it is in women. Of the 45 million people with hypothyroidism, approximately 30 million are males. Hyperthyroidism – excessive production of thyroid hormones – is a far less common medical condition, occurring in 1 out of 1,000 people. The thyroid produces two hormones critical to our health: triiodothyronine (T3) and thyroxine (T4). T4, for all intents and purposes, is an inactive hormone. T3 is the predominant thyroid hormone and affects our overall health to a greater degree. While T3 plays a lesser role, it is important to metabolic health. The human body is designed to convert T4 into T3 hormones, but adverse health conditions can impact this conversion. Gut imbalances, stress, hormonal fluctuations and nutritional deficiencies are the most common causes of irregular conversion from T4 to T3 hormones. Hashimoto’s disease is one of the most common autoimmune diseases in the United States. Those afflicted with Hashimoto’s have an immune system that attacks tissue in the thyroid. Also known as chronic lymphocytic thyroiditis, this disease primarily affects middle-aged women, although it may also occur in men, women and children of any age. Many physicians can detect the presence of Hashimoto’s and prescribe a simple and effective hormone replacement. Of all the variables involved in controlling body weight, a healthy thyroid is among the most important. The largest gland in the endocrine system, the thyroid produces hormones that are essential to regulating both metabolic function and energy. Acting on nearly every type of cell in the body, thyroid hormones initiate cellular function and metabolism. In other words, a healthy thyroid will effectively regulate the expenditure of energy relating to the metabolism, while an unhealthy thyroid gland will inhibit such measures. Slow or impaired metabolic function due to a thyroid condition is one of the more common causes of weight gain and obesity. The brain neurotransmitter dopamine stimulates the hypothalamus to release thyroid-stimulating hormone (TSH), which affects T3 production. The amino acid tyrosine is an important building block of dopamine, and is accumulated in the body through the ingestion of protein. As such, the consumption of high-quality proteins is important to both brain and thyroid health. A balanced diet is essential to a healthy thyroid, as this helps ensure the ingestion of important nutrients. Such nutrients include vitamin A, B vitamins, essential fatty acids (omega 3, 6 and 9), iodine, selenium, tyrosine and zinc. Nutritional supplements, such as a daily multi-vitamin, can help account for the recommended daily intake of various vitamins and minerals. Fish oil supplements are also available that will aid in the necessary consumption of essential fatty acids. Now that we all understand the importance of a healthy thyroid, we’ll discuss how the gland can be naturally repaired. The ability to naturally repair the thyroid is excellent news, as thyroid conditions are frequently misdiagnosed or overlooked. Further, natural treatment of the thyroid averts many of the side effects associated with prescription medication. Natural treatment of the thyroid gland revolves around two main premises: a healthy diet and lifestyle alterations. Diet-wise, it is best to consume fresh, whole foods. Limiting or eliminating gluten, an unhealthy mix of proteins often found in wheat products, is of particular importance. 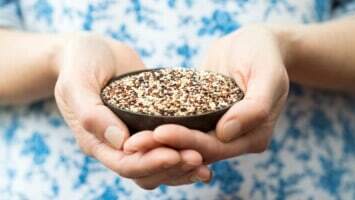 Foods that aid in the healthy maintenance and repair of the thyroid includes: whole grains, fresh fruits and vegetables, fish, seaweed, dairy, beans and nuts. Simple meal substitutions, for example, white bread for whole grain, nuts for chips, and milk for soda can aid the health of thyroid. Of course, it is necessary for the above-mentioned foods to become staples in our diet to achieve optimal health outcomes. In addition to eating healthy, regular exercise is important to thyroid health. Mixing sessions of aerobic exercise and weight training is best. Brisk walking, jogging and yoga are all viable options for aerobic exercise. Aside from supporting thyroid health, exercise is simply irreplaceable as an all-encompassing health activity. In addition to dietary changes and commitment to exercise, other lifestyle changes such as reducing stress, getting adequate sleep (7 to 9 hours), and monitoring overall health are requirements for a healthy thyroid.